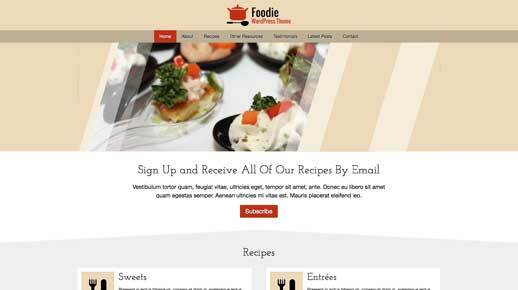 The Foodie WordPress Theme is a great online solution for professionals who work in this line of business. 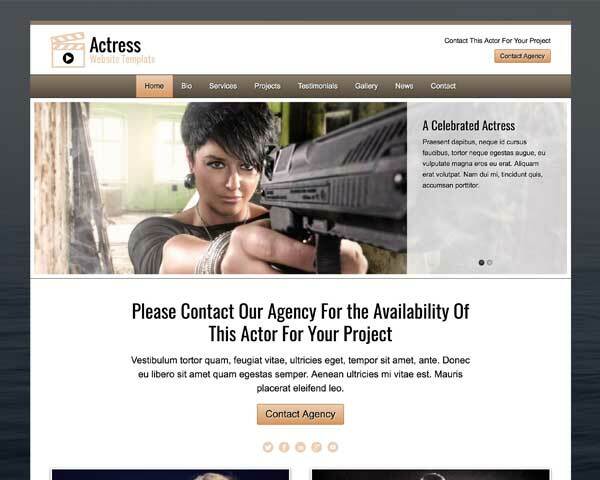 Our added value lies in the fact that they you create custom looking business websites super fast without any coding. 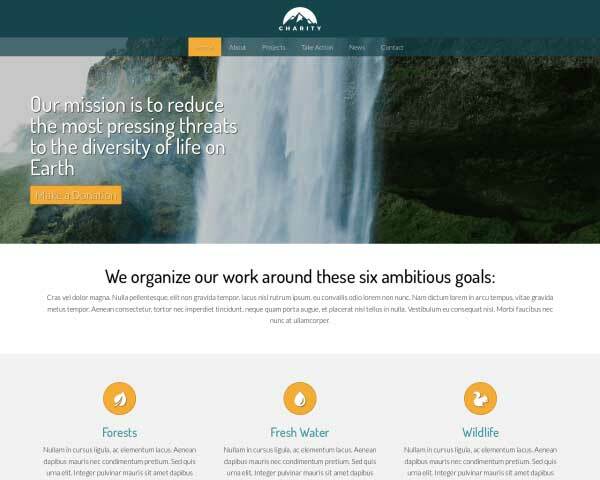 To this end we’ve invested heavily in the ability to provide a front end editor in combination with full-blown business oriented responsive designs and layouts. 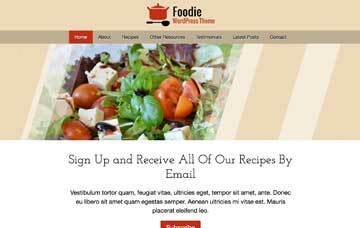 The Foodie WordPress Theme makes full use of all the options available. Convince yourself. The Foodie WordPress Theme offers the ultimate way to present any magazine business on the internet. 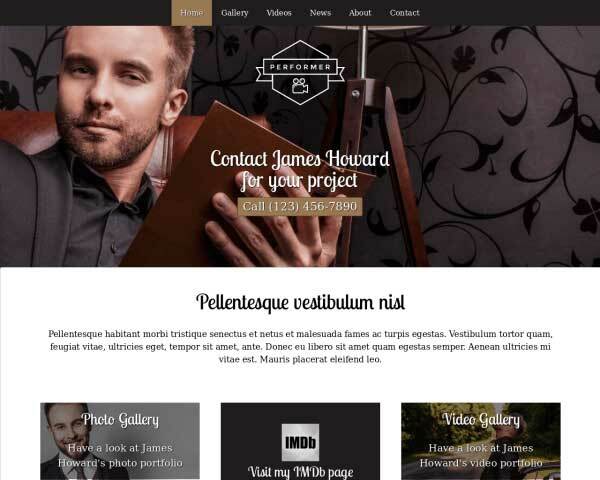 This template offers a wide range of handy features that you will love, no matter if you are a magazine professional yourself, or whether you are a web agency making a website for a magazine business. One of the first features you will see first is the turnkey solution. This solution ensures all pages and posts are added to your site when you first activate the theme. You truly cannot be up and running faster, period. 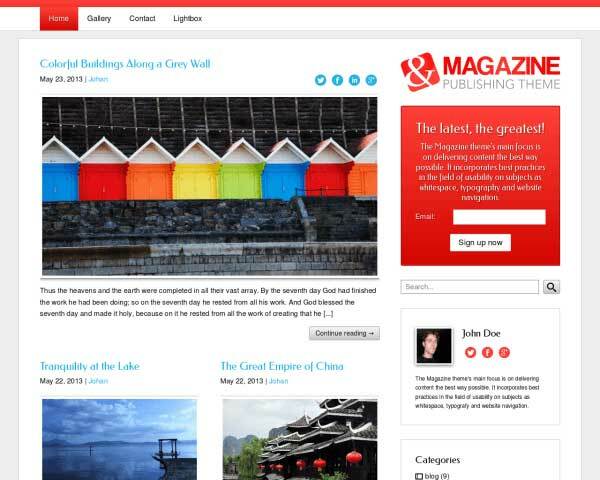 After the theme is activate you can easily adjust the visible content on the website using the powerful and unique front-end editor. 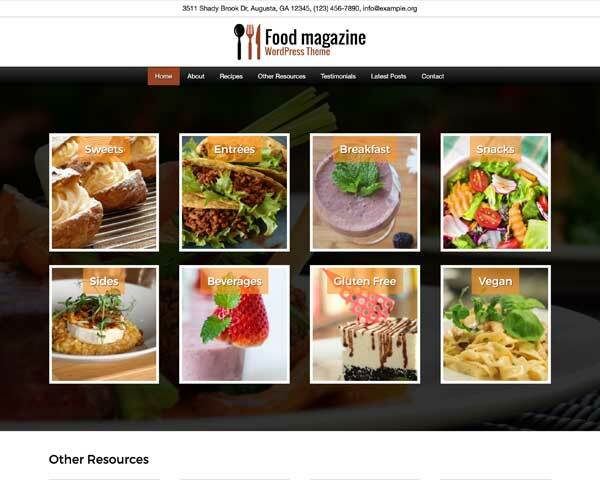 The Foodie WordPress Theme was designed and crafted after a thorough research of existing magazine websites. This way we can guarantee that all important aspects of the magazine business are embedded in the theme. 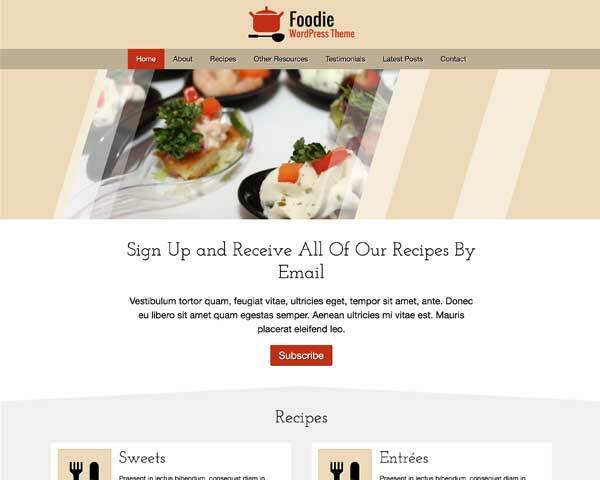 Rest assured that the Foodie WordPress Theme is the best way to bring your business online in a professional way. 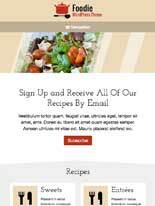 With a nice overview on the homepage you can showcase all your specialties and recipes. 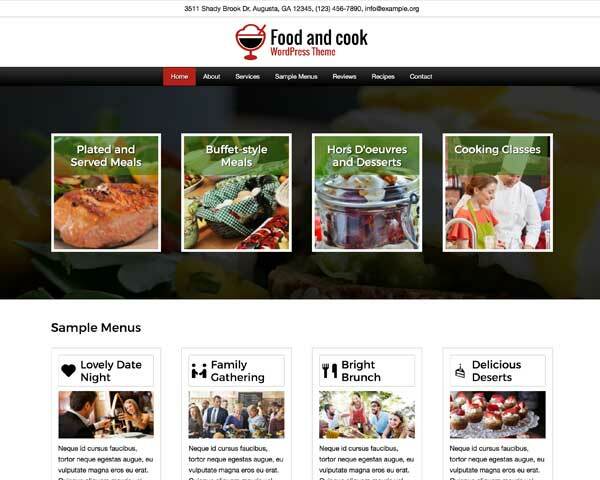 This way website visitors can get an immediate overview of your cooking skills. Offer clients your suggested resources for coping through a difficult time. The Recommended page on Foodie WordPress Theme is ready for your text. Attractively display client feedback with the Foodie WordPress Theme's quote widget. Just paste in your own text and the quotes will be automatically styled with no coding required. The Foodie WordPress Theme comes packaged with sharing and following icons for popular social media platforms, and widgets that display a Facebook or Twitter feed. The Foodie WordPress Theme has a dedicated feature to display your professional you or your team members to the public. Each page of the Foodie WordPress Theme features eye-catching calls to action that encourage visitors to take the next step and get in touch. Your contact page is one of the most important pages of your whole site. That's why the Foodie WordPress Theme comes standard with an integrated Google map, route planner and a customizable contact form. No matter what subpage you're on, visitors can quickly navigate to the right information about your sweets, breakfast, snacks, beverages and much more. Having a dazzling mobile version of your website is part of the package when you start with the responsive Foodie WordPress Theme. Its mobile-optimized design will automatically adjust the layout of your content to fit neatly on any size screen, without any complicated coding or extra plugins. Mobile visitors can enjoy the added benefit of being able to simply tap on your phone number to dial. You can feel confident that your new magazine website will make a great impression on potential clients using smartphones and tablets to access your pages, even as you add new content in the years to come.